I was an Anglican priest the summer I met St Therese of Lisieux. I was living in England and had three months free between jobs, so I decided to make a pilgrimage to Jerusalem. I was going to hitch hike and stay in monasteries and religious houses on the way. The first leg of my journey took me across the English channel to Normandy. As divine providence would have it, I missed the ferry to the more Eastern port of St Malo and headed instead for the French port of Le Havre. Once off the boat, I headed for the Benedictine monastery of Bec Hellouin. Bec is over a thousand years old, and is famous for providing the church in England with a couple of archbishops over the years. After staying with the monks at Bec I headed for the town of Lisieux. 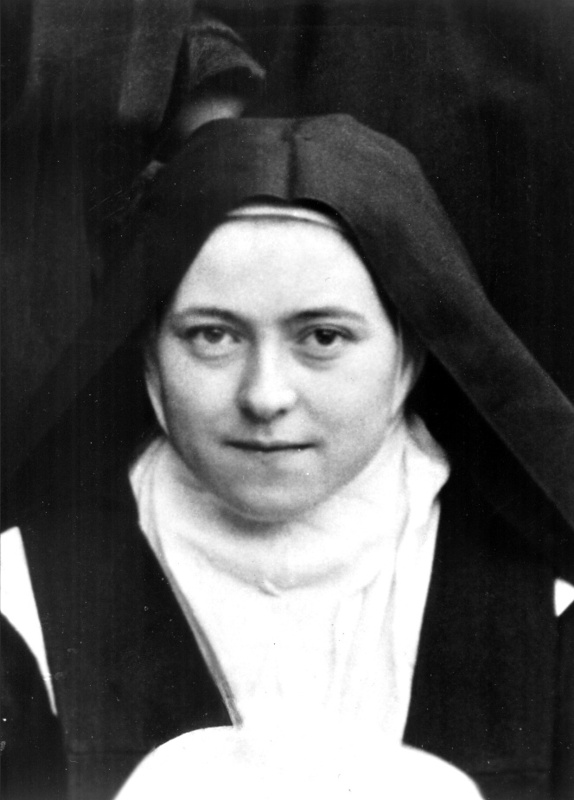 As a convert from Evangelical American religion, I didn’t know much about the little saint of Lisieux. I had learned that Catholics call her the ‘little flower’ and that she died young of a terrible disease. What little I did know I didn’t like. Her syrupy sweet spirituality didn’t seem very manly to me. I wasn’t sure what ‘little flowers’ had to do with anything and thought all the little girl talk about ‘Dear papa in heaven’ and ‘being God’s good little girl’ were a bit much. When I got to Lisieux things didn’t improve much. I made my way up to the imposing basilica dedicated to the saint on the hill outside the town. It looked big and ugly from the outside, and the road leading up to the basilica was crowded with souvenir shops with rosaries hanging from the awnings, postcards and images of the saint (and every other saint imaginable) pictures of Mary and Jesus with wide eyes, and holy water bottles shaped like Mary with crowns that unscrewed. To a tasteful young Anglican priest it was all pretty tacky, and I thought the French ought to know better. I enquired at the guest house called The Hermitage next to Therese’s Carmelite convent. A neat little nun showed me up to my room, and after a simple French supper I wandered around the town for a short time. It was a balmy June evening, and the sun was setting as I went back to The Hermitage and settled down for the night. I opened the window and before long I was fast asleep. At three in the morning I woke up and was immediately aware of something happening. The moon was shining through the window and a light breeze wafted the curtains. I sat up in bed, not alarmed, but alert—more alert and awake than one should be if woken up in the small hours of the morning. There seemed to be a presence in the room, and it felt like a feminine presence—a very benign and loving and powerful feminine presence. I sensed that it was Therese. I sat there for at least thirty minutes in silence experiencing a dynamic inner calm I can only describe as a quiet bliss. Then the experience passed and I went back to sleep—but not before I decided that I would get over my prejudice and have a more serious meeting with the young lady called Therese of Lisieux.